I couldn't have it be boring, could I? 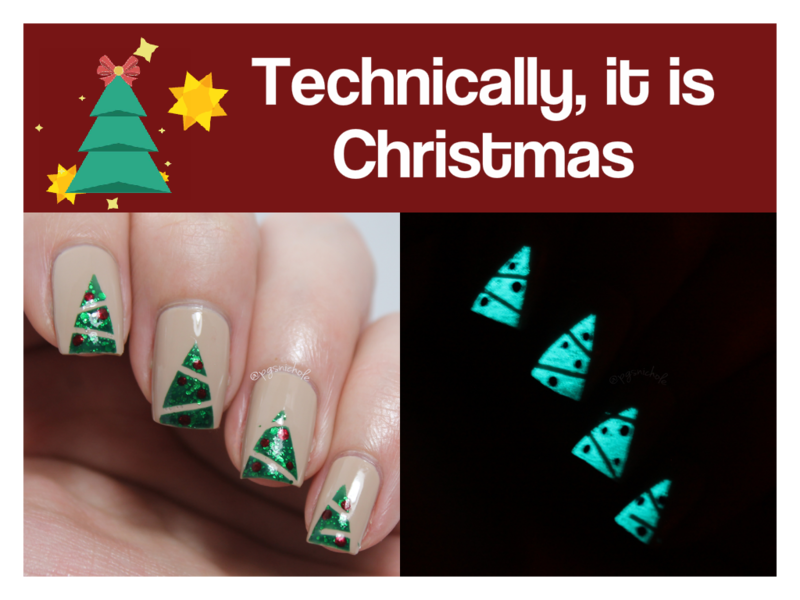 Especially with those glowing polishes I just swatched from Anne Kathleen and my black light still sitting out. Its like the universe compels me. I'm a slave to fate. I can kinda see my fingers here because there was a light on 20 feet away. Feels good to get the obligatory Christmas manicure out of the way. Now if I do another, it will be happy and relaxed and natural. 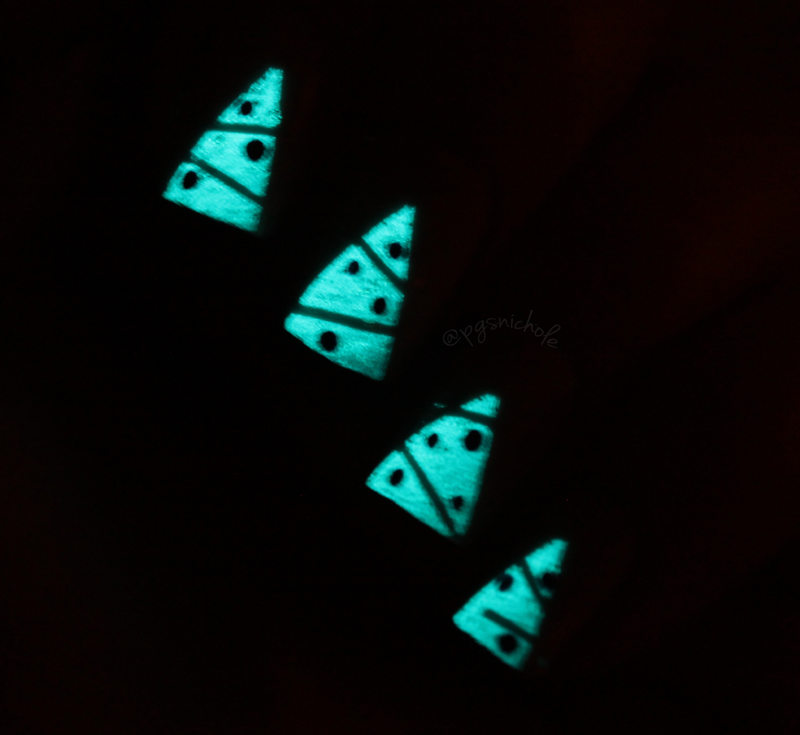 I shouldn't complain though...as holiday nails go this is pretty tasteful. 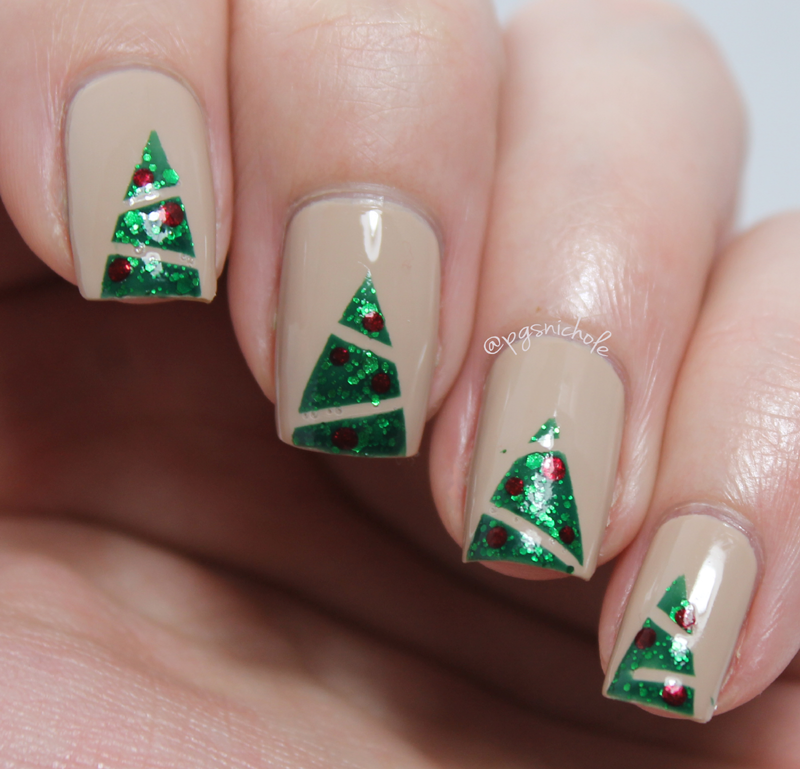 This is my favorite Christmas nail art of the year. The Lady Varnishes...a nice surprise.